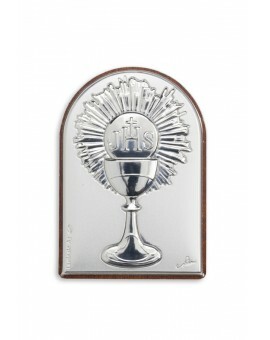 Holy Communion There are 14 products. 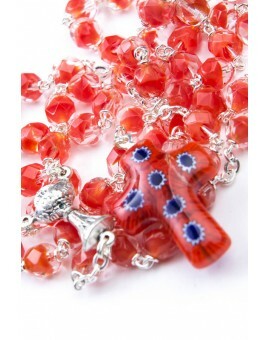 Rosary made in white glass with the venetian Murrina Glass Crucifix. 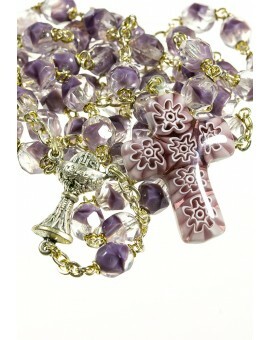 This Rosary has a particular center, with the representation of the Holy Communion Calix. 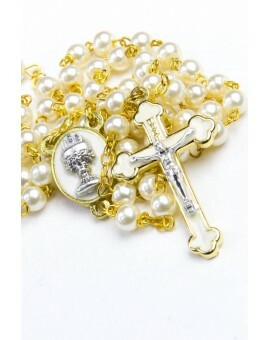 This Rosary has a particular center, with the representation of the Holy Communion Calix. 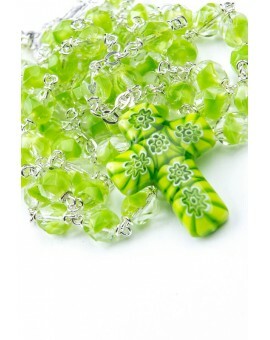 You can place your own Rosary or choose one from our catalogue in the box. 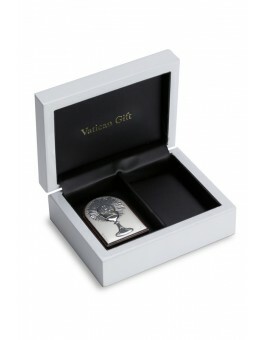 Rosary Box in resin with a bilaminate Silver image on the top. 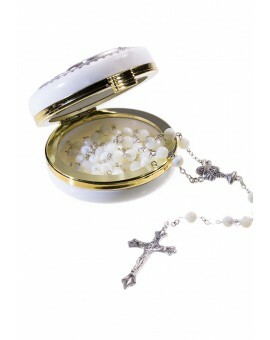 Inside you will find the Holy Communion Rosary in Mother of Pearl. 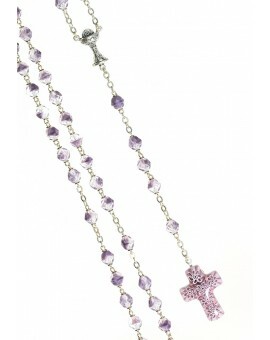 This Rosary has a beautiful Crucifix and the center representing the Holy Communion Calix. 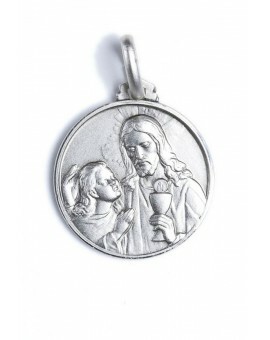 At your request we will bring it to receive the Blessing from the Holy Father. Please request it on the checkout page. 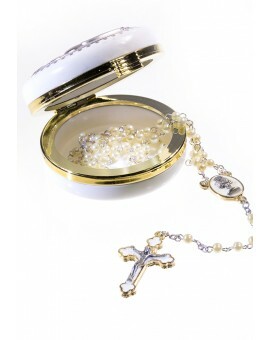 Inside you will find the Holy communion Rosary in glass pearls. 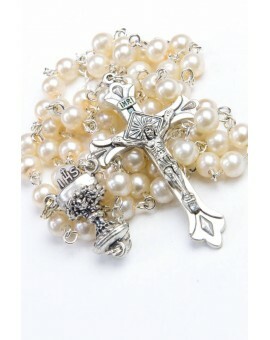 This Rosary has a beautiful white enamelled Crucifix and the center representing the Holy Communion Calix. The Christ's Body on a Crucifix made by wine grapes, remembering the symbols of Eucharist. 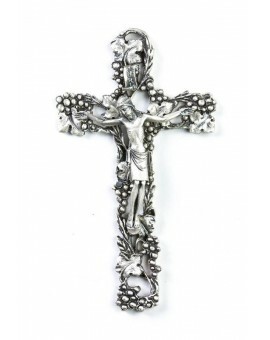 Heavy solid metal Crucifix. 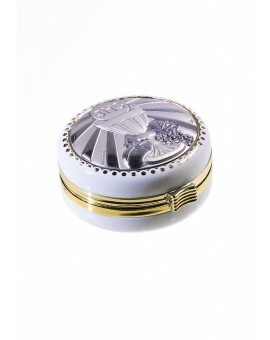 Real Mother of Pearl white translucent beads. 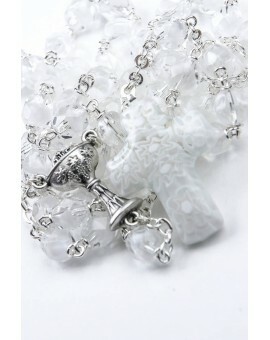 The Holy communion Rosary in glass pearls. 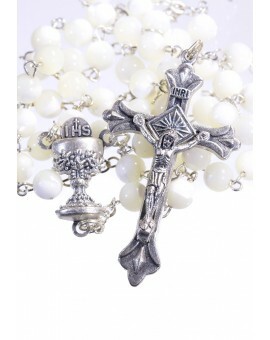 This Rosary has a beautiful white enamelled Crucifix and the center representing the Holy Communion Calix.